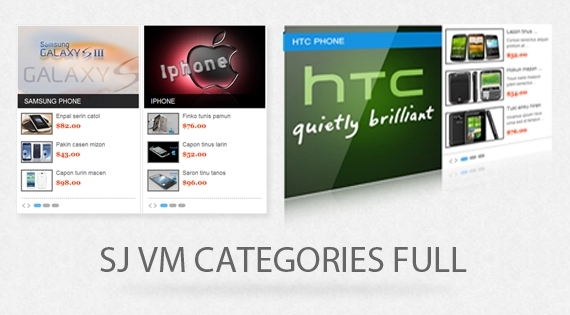 SJ Categories Full for Virtuemart is created for VirtueMart Component. It supports you in showing your categories more beautiful and useful to visitors. With this, your shopping cart's categories will become a channel for increasing sales. You can place as many modules as you want, with any language as your need! Let view Demo to see now.